One of the drinks featuring in Skyfall is a 50 year old Macallan whisky, which Silva mentions is Bond’s favourite. Macallan have confirmed that it is the Macallan 1962 which features in the film. Released in 2009, the 1965 is said to be fruity with ginger and cinnamon and a light peaty flavour and comes at 45.5% ABV straight from the cask. The 1962 comes from Macallan’s Fine and Rare product range, which was created to identify the best Macallan maturing stock and launch the greatest range of single malt whiskies ever. As an extremely high quality product produced in low numbers the price puts it out of the reach of most people, with the average price north of €1,000. The bottle shown above is with the current Macallan labelling, we have not yet ascertained whether it is this that appears in Skyfall. 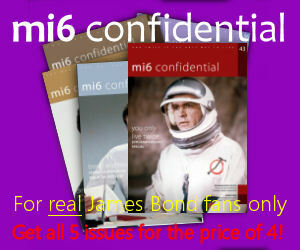 Much more affordable is seen on M’s desk early on in the film, which is shown in the trailer. 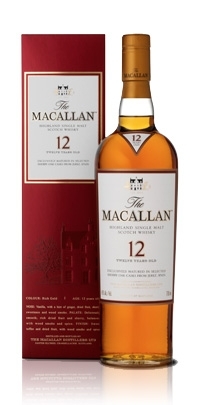 Macallan has confirmed to us that it is a bottle of Macallan 12 year old, as the label faces slightly away from the camera. This product is matured in Spanish oak casks for a minimum of 12 years, which have previously been used to make sherry and tastes of dried fruits, with wood smoke and spice and has a slight smell of vanilla. 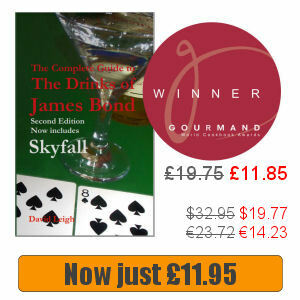 I can confirm that it is the above labelling in Skyfall – the distinctive burgundy “1962” is quite prominent.